An inexperienced glutton might think that it is a daring combination of ingredients made by a bored contemporary chef or a child's experiment in the kitchen. Someone else might turn up his nose refusing to taste this delicious combination of flavors...worse for him! 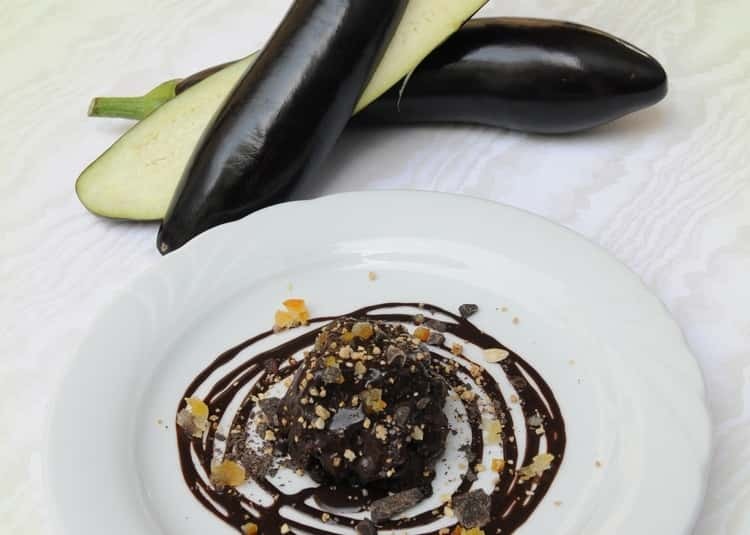 The chocolate eggplant is a typical dish of the Amalfi Coast, deeply rooted in the culinary tradition of Maiori where it is prepared on the occasion of the patronal feast of the Assumption, on August 15. "A' mulignan ca' ciucculat sul a Maiur ‘a sann fa!" (from the Neapolitan language: only Maiori women can prepare the eggplant with chocolate): in fact, on mid-August period, when the eggplants are sweet and without seeds, at the top of their maturation, Maiori housewives prepare this delicious dessert, each one according with her own recipe, triggering a real "war of taste". The "mulignan ca' ciucculata" was prepared for the first time by a Franciscan friar who used to serve a fried eggplant covered with a sweet and liqueur sauce to his brothers; the addition of chocolate, which occurred at a later time, was a real successful intuition and the recipe passed through the walls of the convent (as it happened for a lot of culinary delights of the Campania region), delighting the palates of the locals too. 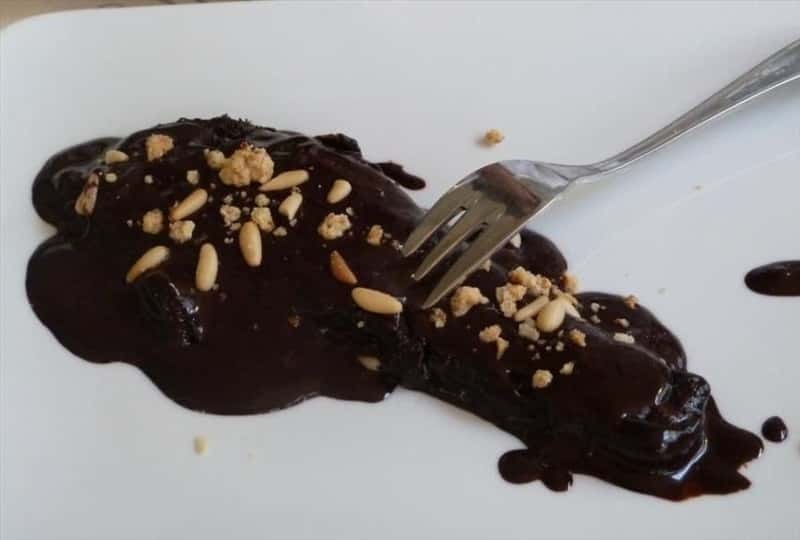 Although the chocolate eggplant was not prepared for the first time in Maiori, however this dessert is really appreciated in this beautiful town of the Amalfi Coast, becoming part of Maiori gastronomic tradition. Here is Mrs Assunta Criscuoli's recipe of the chocolate eggplant, handed down from her grandfather, cook in the kitchen of the Franciscan friars. for the filling: sugar, cinnamon, clove, amaretti biscuits, candied fruits. Note: the doses are free, according to taste. Peel the eggplants and cut them into thin slices; fry and put them on paper towels to remove excess oil. Fry the eggplant for the second time, passing them in the flour and beaten egg with a pinch of salt. Let's prepare the chocolate sauce: bring to boil in a pot dark chocolate, cocoa, sugar, a small dose of concerto liqueur and water. Put each slice of eggplant in a mixture of sugar, cocoa, cinnamon and powdered cloves. Arrange the eggplants in a serving dish, covered with the chocolate sauce. Garnish with candied fruits and crumbled amaretti biscuits.